Former Chief Inspector Gamache has been hunting killers his entire career and as the new commander of the Sûreté Academy, he is given the chance to combat the corruption and brutality that has been rife throughout the force. But when a former colleague and professor of the Sûreté Academy is found murdered, with a mysterious map of Three Pines in his possession, Gamache has an even tougher task ahead of him. When suspicion turns to Gamache himself, and his possible involvement in the crime, the frantic search for answers takes the investigation to the village of Three Pines, where a series of shattering secrets are poised to be revealed . . . 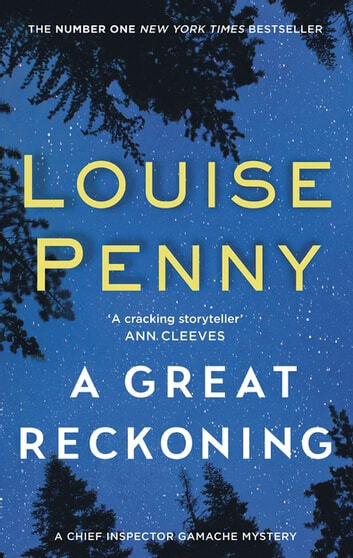 Ingenious, gripping, and powerful, A Great Reckoning is the twelfth spellbinding novel in the Chief Inspector Gamache series from number one bestseller, Louise Penny. Evocative and atmospheric, this magnificent work of crime fiction will stay with you long after you turn the final page. Mystery writing at its best. This is a beautifully crafted novel. The characters are real enough to touch and Armand Gamarche has wisdom, i telligence and compassion as he relentlessly pursues the murderer of a man hated by many, none more so than Gamache himself. The isolated Canadien setting of Three Pines and the school for cadets of the Sureté has the suspense build in a closed setting which becomes claustrophobic in the best Agatha Christie tradition. This is one of those books you can't put down. There should be more Armand Gamache s in our world ... But may be there are and we just have to open our eyes to see them and to be inspired by so much humanity. Dit is het 12e boek in de Chief Inspector Gamache serie. Dit boek is met Still Life en How The Lights Get In een favoriet. 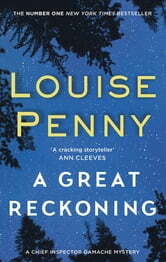 Louise Penny is een geweldige schrijfster en weet mij steeds te verleiden om Three Pines te bezoeken.